A premonition of the first Gulf War in a dream, and my daughter in Jerusalem for her junior year abroad, impelled me to create the Dream Vessels collages. Begun in 1991, my “letters without words” have grown to an over twenty year series. 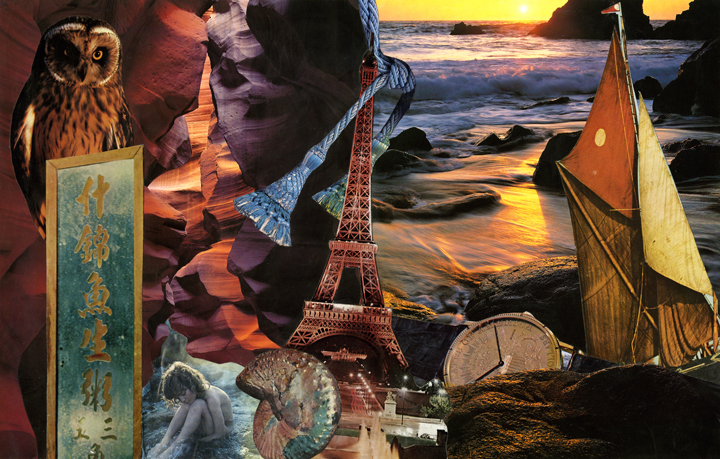 I have made the collages as a healing practice. Sharing them, I hope to heal the world. 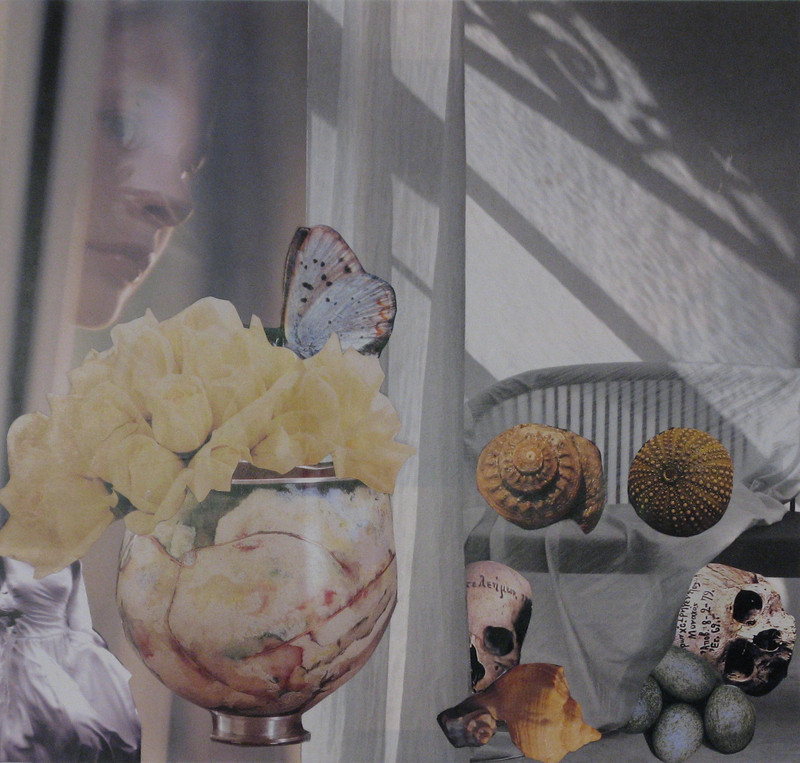 A collage often begins with a wisp of a dream image, and a collection of “found images” that dialogue with it. Through both intention and the unconscious, I follow relationships of content, feeling, color, and shape as they transform into an aspect of the dream or an unexpected scenario. Recurring themes include houses with rooms I have never before visited, danger from fire or water or heights, youth and old age, journeys. “Vanitas” symbols—the awareness of death within the sweetness of life—such as skulls, eggs, wings, timepieces, are touchstones, as I set sail on the sea of dreams.